Pharmacist by training, Johann Wiechers finished his Ph.D. in 1989 at the University of Groningen, The Netherlands, in the subject of skin penetration enhancement. Following six years at Unilever Research in the UK, he joined Uniqema in Gouda, The Netherlands, in 1995 where he had global responsibility for the company's skin R&D as their Skin R&D Director. In April 2007, he was appointed Visiting Professor at the University of London, School of Pharmacy, Brunswick Square, London. In September 2007, he founded JW Solutions, where he works as an independent consultant for cosmetic science in the field of his main scientific interests: formulation optimisation, cosmetic claim substantiation, non-invasive skin bioengineering, skin sensory techniques, clinical trial design, skin penetration and biostatistics. 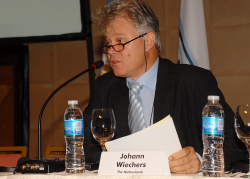 Johann Wiechers was a member of the Praesidium of the IFSCC from 1998 until 2009, serving as President (2007-2008), but held various other functions, especially those relating to science, such as Scientific Editor of the IFSCC Magazine (2001-2004) and Chair of the Science and Education Committee (2000-2003). He is also a member of other scientific organisations such as the ISBS, SCS, SCC and NVCC. He was a board member of the Dutch Society of Cosmetic Chemists (NVCC). 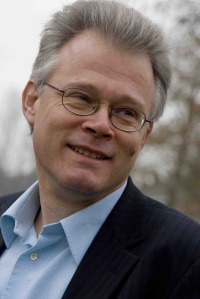 To date, Johann Wiechers has published about 450 papers, posters, book chapters, books, columns and podium presentations in the field of topical drug delivery and cosmetic science. He is a regularly invited speaker at both scientific as well as commercial conferences all over the world. He won Best Paper Awards at the 1998 SCS Annual Conference (Manchester, UK), the 1999 SCC Annual Scientific Conference (New York, USA), the IFSCC Congress Best Poster Award (Edinburgh, Scotland, UK; 2002), the 2003 IFSCC Conference Award (Seoul, Korea; 2003) and the ISBS Best Poster Award (Orlando, FL, USA; 2004). In 2010, he was nominated by his colleagues in the industry for the first ever Lifetime Achievement Award for Cosmetic Science. He was Chair of the Scientific Committee of the highly successful 2007 IFSCC Conference in Amsterdam in September 2007 when he was named President of the IFSCC. His first book “Science and Applications of Skin Delivery Systems” was published early 2008, and two compilation books have followed since.